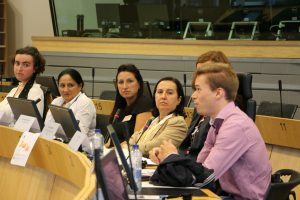 On 6th September the final Conference of TOUR4ALL project “The role of accessibility training in the tourism sector” took place at the European Economic Social Committee in Brussels (Belgium). 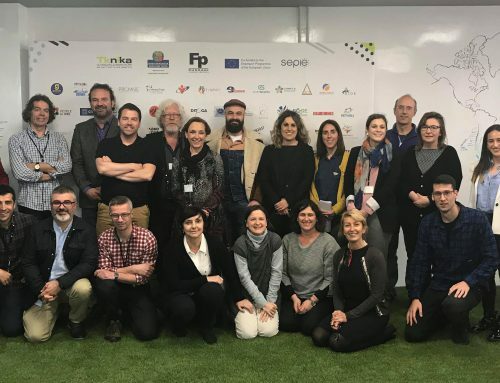 The final conference gathered together various stakeholders and practitioners, including VET providers and training centers, tourism associations and enterprises working on the field of accessible tourism. The event was hosted by Ms. Madi Sharma, who opened the first panel session stressing the importance of ‘making people without disabilities to understand what is to live with one, but also to raise awareness that people with disabilities are consumers, employers, entrepreneurs. We need to invest in them”. That is why a project like TOUR4ALL has put the emphasis on a better access to tourism for people with disabilities, but how? Developing a module on Accessible Tourism for VET students, teachers, and Tourism professionals. Better trained human resources will provide better services and the tourism sector and society will benefit from it. 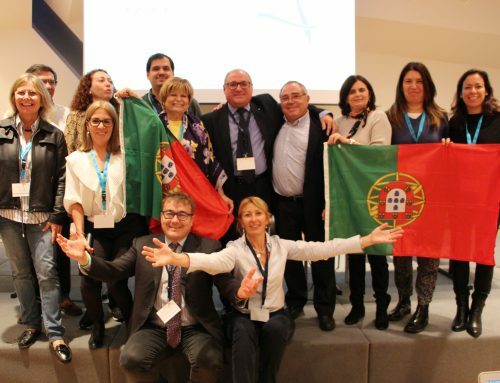 Nuno Martins, project coordinator from CEPROF – Centros Escolares de Ensino Profissional (Portugal), introduced TOUR4ALL to the audience, stressing that “this project aims to change curricula in Europe first, but why not also on a worldwide perspective”. Taking into account that the EU is number 1 tourism destination, we can’t afford to leave behind this experience to people with disabilities. The first step to improve their experiences is by launching an adequate training resources to VET tourism schools. Martins, also highlighted the relevance of SMEs on this process as sometimes they don’t know how to deal with accessibility, but even worst there is no specific training for them either. 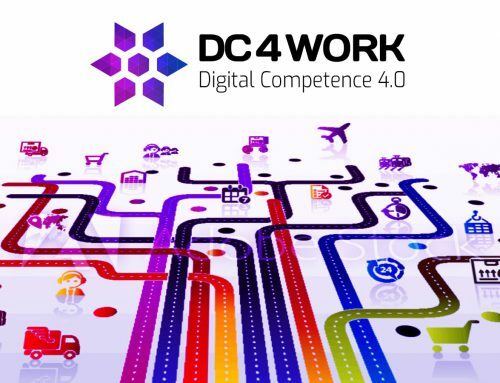 TOUR4ALL introduces 9 modules via Moodle platform to tackle this issues via specific training sessions. Martins concluded by saying “tourism is a starting point, but all services need soft-skills, we need to adapt this training to other sectors and bring to other countries’. In fact, some of the partners from the consortium are already having meetings with Educational Minister to explore the possibility to introduce TOUR4ALL training curricula into VET educational plans. 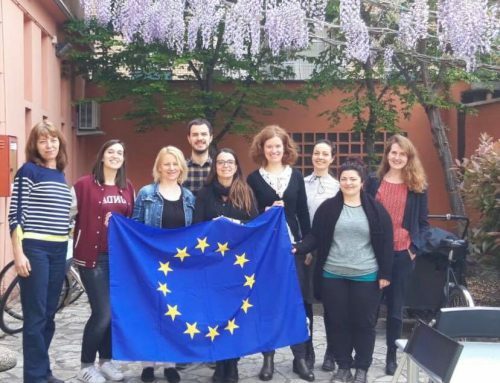 TOUR4ALL Lithuanian partner, Ugnė Šakūnienė, who represents the Lithuanian Association of People with Disabilities (LŽNS), introduced practical examples of accessible experiences which prove the need of TOUR4ALL training but also a general change of mind, and make cities accessible. LŽNS has introduced for instance Training camps for people with movement disabilities, Recreational camps or has launched public awareness campaigns. LŽNS, has as future plans – cooperation with Ministry of Science and Education with the purpose to incorporate TOUR4ALL module into the Lithuanian learning system for students who are planning to work in the tourism sector. The panel discussion on “The situation of citizens with disabilities in the EU” was opened by MEP Helga Stevens, who welcomed TOUR4ALL training as, is a good step to ensure that persons with disabilities are not left behind. TOUR4ALL, shared the principle that the right to enjoy freedom of travelling and discovering new place in European and the world should be accessible for all, as MEP Stevens said. We should bear in mind that “we are still talking on accessibility while it’s easy: exclusion always cost money, accessibility will cost money in the short term but it will bring benefits in the long term’. 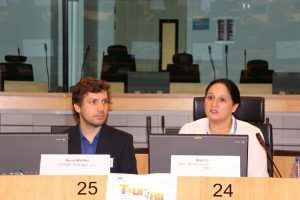 The European Commission representative, Inmaculada Placencia Porrero (DG-EMPL, Unit of Disability and Inclusion) put the emphasis on the EC ongoing initiatives such as European Disability Strategy 2010-2020, European Disability Act, European Pillar of Social Rights or the Access City Award. Placencia, concluded saying that “accessibility is and can be a reality is a matter of willing and implementation more than a general idea. Accessible tourism can be beneficial for everyone”. Civil society organisation representatives: Alba Gonzalez (Policy Officer at CMB’s EU Liason Office), Frank Sioen (Advocacy Officer at ENIL) and Blandine Bouniol (Deputy Director for Advocacy at Humanity & Inclusion) bring to the debate practical examples of how inclusion should be. Gonzalez, remarked the lack of harmonization among EU Members States, which makes implantation of accessible rules really complicate. Even more, for people with disabilities regarding transports or accessible buildings. Sioen, fully agreed on this, adding that when traveling people with disabilities are travelling, planning should not determinate their travel destination, but should be the other way around. And indeed, both of them agreed that only involving people with disabilities in public debates and policy reforms we can go one step ahead. Bouniol, added that accessibility in the tourism sector is the way to reach independent living, but we can’t forget that they should participate in all the spheres: education, recreation or inclusive job opportunities. Even more, think about how to access: mobility can be a serious barrier for reaching an independent living. Bouniol, presented a new platform called hizy.org (in partnership with Airbnb) to exchange information and services for persons with special needs. The panel participants shared a final wish: not leave none behind, improve communication and legal framework on EU, engage all the actors and sectors on the debate and raise awareness of environmental solutions. Dorothea Mockel (IHKPG, German partner) concludes putting the emphasis on the need of better training for people, VET Education can make the difference.